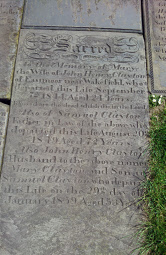 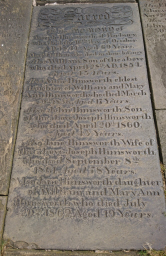 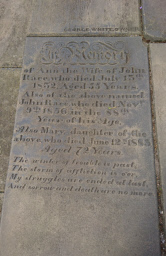 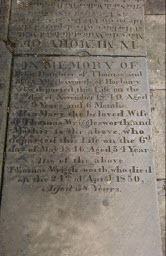 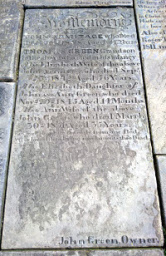 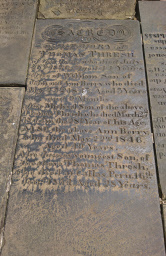 There are many early gravestones at St. Peter's and St. Leonard's Church in Horbury, which date back over 200 years in some cases. 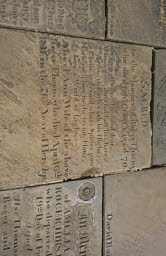 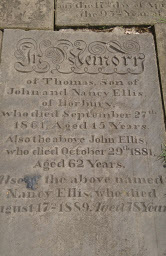 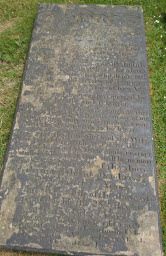 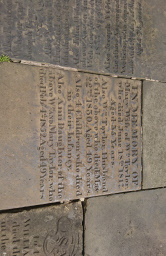 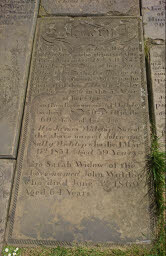 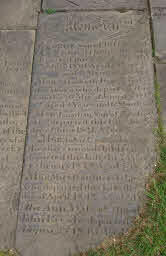 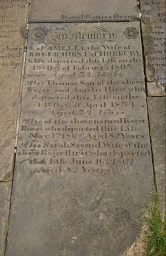 Although the gravestones have been laid flat and form a path around the Church, the inscription are still easily visible. 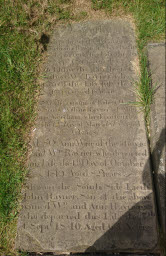 In this study, Helen Bickerdike has researched the names on the grave markers and has produced a short biography for seventeen of the families named on the graves. 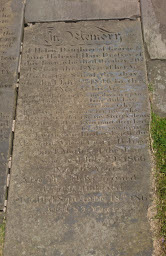 Some of the these surnames are stll common in the Horbury area and maybe you have a relative who was buried at St. Peter's and St. Leonard's Church? 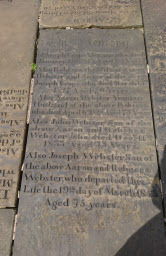 The grave markers at St. Peter's Church are shown below as smaller thumbnail pictures. 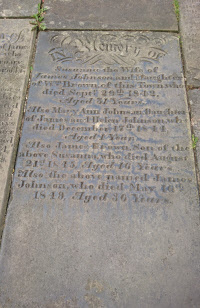 If you click on the thumbnail picture a new window will open with the family biography and a larger picture of the grave marker. 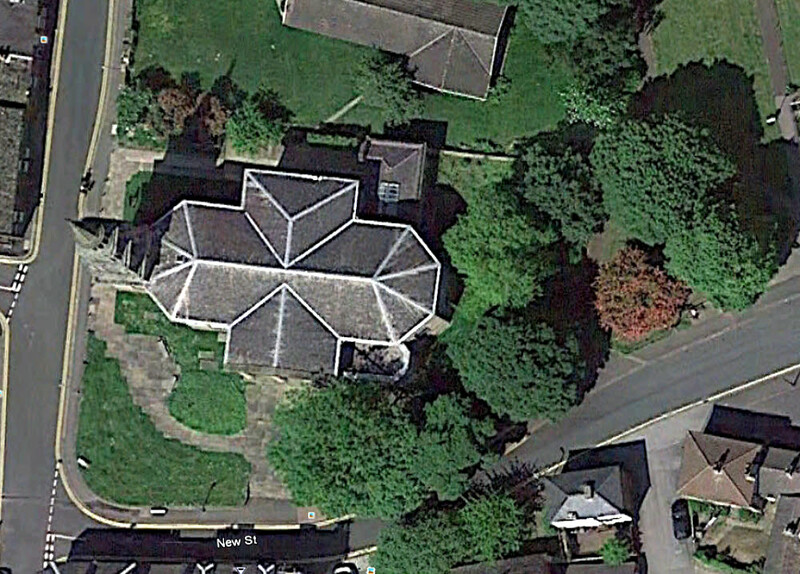 Above: An aerial view from Google Earth, showing the grave markers at St. Peter's and St. Leonard's Church in Horbury arranged as paths.